Sewer Mainline Auguring. Sewer Maintenance. Sewer Mainline Repair. Where does all the water from your home go after you use it? After you use water in your home for sinks, showers, baths, toilets and laundry – all that water goes through your sewer mainline. Large volumes of water and waste travel through your sewer mainline and occasionally, it needs maintenance or repair. Is the sewer drainline backing up, clogged or broken in your home? Although this problem is rare, it is serious when it happens. You need help from a professional plumber and you need it now. We offer trained professional technicians that can augur and unclog your main sewer line. Plenty of waste can build up against the outside walls of the pipe over time and we can clear this type of clog for you. In more established neighborhoods, tree roots can slowly grow into the pathway of the sewerline and back the flow of water out of your home. How do camera inspections of the mainline work? Benefit from new camera inspection technology! Our advanced camera system allows inspection of the drainage system below ground, helping to prevent unnecessary excavation later on. Knowing whether it’s a tree root in your way or something else, is critical information. Video cameras have become one of the most valuable tools in the plumbing industry. An advanced waterproof camera allows us to see inside sewer lines and other pipes that are underground, located inside cement or under your home’s foundation. Our skilled plumbing technician feeds the bendable rod with a high-resolution video camera on its tip, down the pipe. The rod can curve and follow your pipe as it leaves your home, which allows you to see inside the pipe as it travels. The video recording gives us and you all the information needed to understand exactly what is happening inside your pipes! We can help you determine the next best step, based on the current condition of the main sewer line. The recording can be saved for your future record. A video camera line inspection pipe will identify and record all types of problems, such as root intrusion and a pipe that is misaligned, broken, punctured or corroded. What can I do if my sewer mainline is clogged? Have a clogged drain or sewer line? Get it resolved now by calling Aquality Plumbing. Our state of the art camera technology and years of experience with auguring, will ensure your home’s mainline drain is clean and free from grime build up and tree root debris so they are as good as new! If you suspect potential troubles with a home’s sewer mainline, be sure about the state of the pipe by conducting a camera inspection. 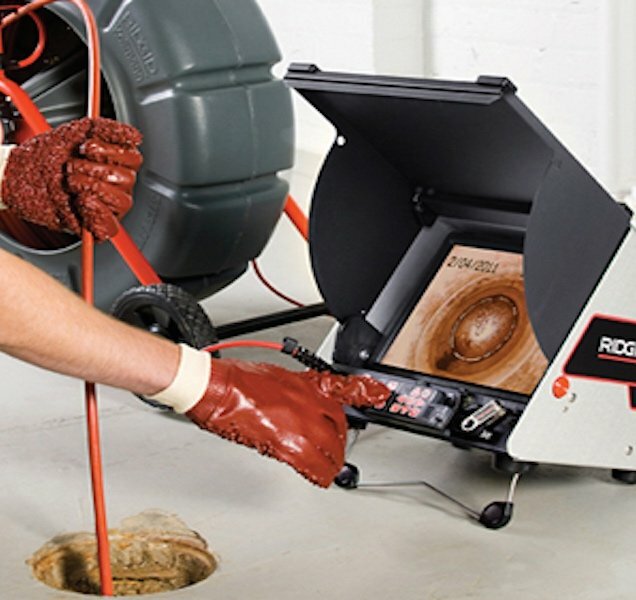 There is no better way to ensure you know the health of a home’s sewer line. You can prevent future problems by investing in this service today. We will tell you the truth about the state of the pipe. We offer exclusive pricing for camera work during home inspections. If you are a realtor, contact us to learn more about how we can help you.